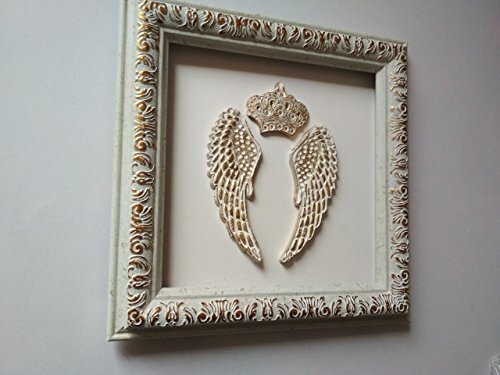 Angel wings wall decor. Special 3D wall art for every home. Best unique and original gift for every. Angel wings wall art symbolizes strength and honor. Perfect fit for a living room, office, nursery, bedroom or even kitchen. This painting - 3D wall art will find a place of honor in every home. If you have any questions about this product by GiftsStudioCrafts, contact us by completing and submitting the form below. If you are looking for a specif part number, please include it with your message.